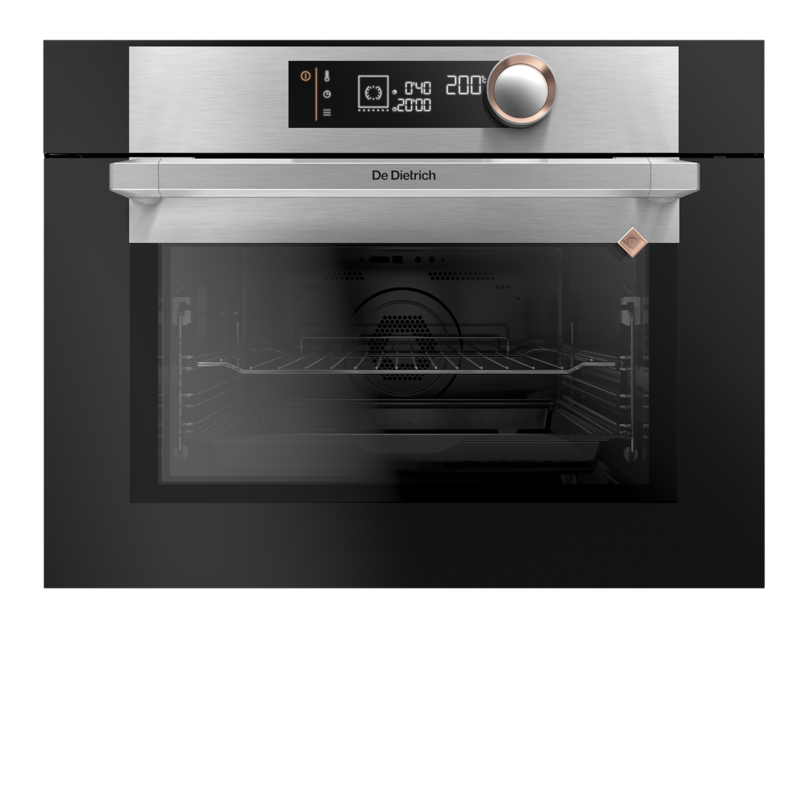 With a 40-litre volume, this oven can do everything that traditional-sized ovens can do. Included in the 10 highly distinctive functions offered by the Multifunction Plus is a “Bread” mode, enabling you to lay your table with soft, golden and crusty bread whenever you like. This oven is equipped with two Pyrolytic functions for made-to-measure cleaning services. The addition of a pyrolysis turbine evenly circulates air all around the cavity, guaranteeing optimal cleaning throughout. With the Pyro-Turbo function, the oven is out of action for 2h compared to 1h30 in Pyro Eco mode.